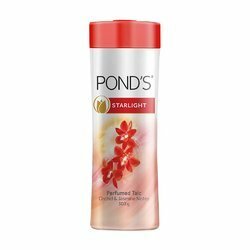 In order to cater the diversified needs of our prestigious customers, we are offering supreme quality gamut of Ponds Magic and Sandal Talc. These products are formulated by using quality assured ingredients in compliance with set global quality standards under the strict direction of our vendors’ knowledgeable professionals. Powder to control it. Cover up dark circles. Help absorb excess oil. Increases the skin fresh and comfortable. Smooth pink powder.